Three things led to its explosion in 2016 that saw sales grow by a staggering 2,500 percent, its founder says. Halo Top, a company founded in 2011 by Justin Woolverton, became the top-selling new food brand in 2017, with sales of $342.2 million, according to IRI data. But just two years before that, Woolverton and his startup were on the verge of collapse, with the former lawyer in the hole for $100,000 in cash and about $150,000 in credit card debt. His credit score was so bad, he says, that he couldn't even get a $20,000 loan with 30 percent interest from a "predatory" lender. "We had a come-to-Jesus moment, because there was no guarantee we were going to be able to stay alive," he says. "It was very do or die." But things did turn around, thanks to some unexpected events. One was that Woolverton and his company were able to hustle and raise about $1 million, giving out promissory notes to friends and family that would repay their loans at a rate of 150 percent. The second was a cease-and-desist letter Halo Top received from another brand in 2015 that claimed its packaging was too similar to its own. It would eventually reveal itself to be a blessing in disguise, as it lead to a redesign for the brand. Finally, after complaints from customers about the ice cream being icy, Woolverton worked with a university to improve the recipe and make it more resilient. "So, with a better billboard and a better product, things slowly started to pick up," he says. It was in 2016 that Halo Top started to reach the masses and people started talking about it. “We had this really fun GQ article come out where the guy ate nothing but Halo Top for 10 days. From there it seemed to take on a life of its own. It grew quickly, and it very much shocked us." The company said it saw a staggering 2,500 percent growth in 2016. Halo Top sets itself apart with its lower-calorie, higher-in-protein ice cream. 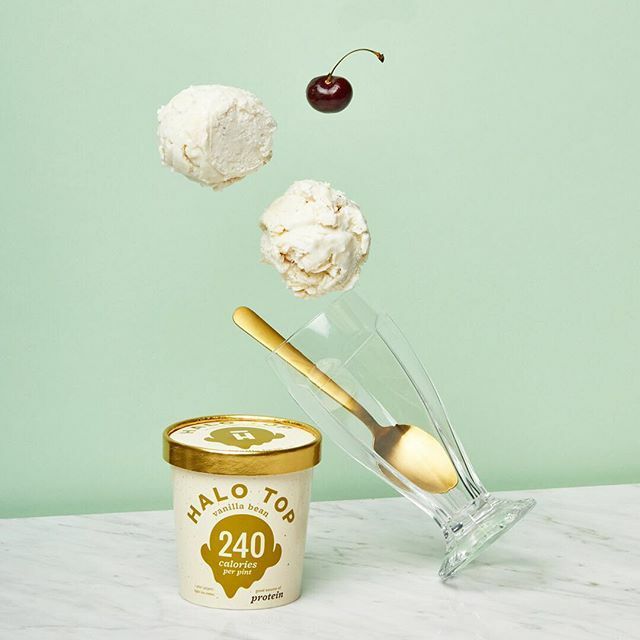 A pint of Halo Top ranges from about 280 to 360 calories, the same amount that's found in a typical serving of its competitors’ products. It’s ice cream, Woolverton says, that can be eaten every day. The brand is currently sold in about 34,000 stores in the U.S. and can also be found in the U.K., Canada, Mexico, Ireland and Australia. Out of the more than 20 flavors it offers, its top sellers are peanut bButter, mint chip and chocolate chip cookie dough. Entrepreneur spoke with Woolverton about starting the brand and dealing with big growth. Can you briefly tell me how you got into this business? I was one of those weird kids who wanted to be a lawyer since my teens, and I was dead set on thinking it would be so fun. Once I started practicing law, which I did for about four years, I absolutely hated it and realized I had to get out. I kept eating a lot of sugar. I was playing around in my kitchen with little tweaks of certain things to get rid of sugar, and I made this ice cream. It had slowly morphed from this bachelor version of this thing to finally the eureka moment when I got this Cuisinart ice cream machine. I ran my mixture through it, and it tasted extremely good. [I figured,] if I like it, other people would probably like it. If I need it, other people would probably need it. There just wasn't anything like it out in the market. How did you land your your first big distribution deal? I was distributing myself, going around with an ice cooler to stores. You get to a point where obviously you can't keep doing that; it's tiring. In SoCal there are a certain number of medium-sized chains that are just small enough where they'll take a chance on a small company like us, which is just big enough to have weight with a distributor. What were the challenges in dealing with the explosion of the brand in 2016? We couldn't make it fast enough. That was the biggest challenge of all. 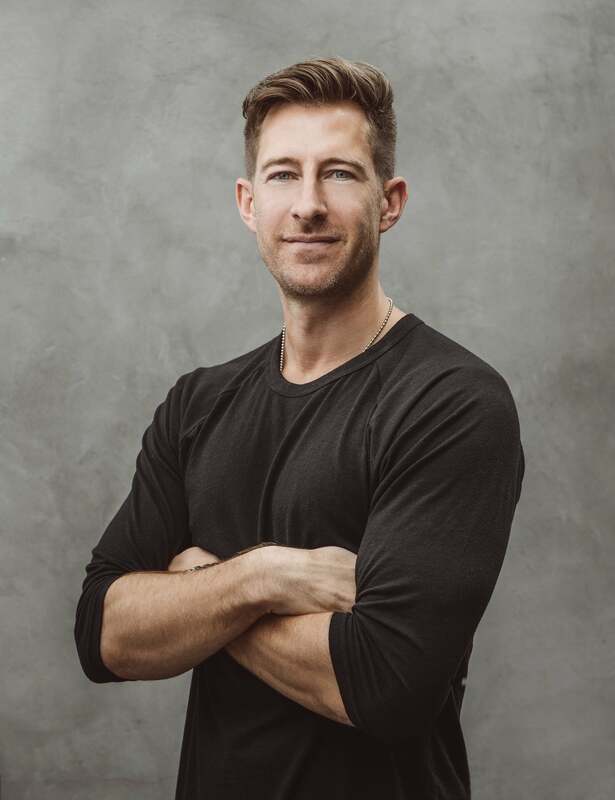 My partner, Doug [Bouton, president and COO of Halo Top], was spearheading working with the factories to get us more room, because from everybody's perspective, this caught them off guard. We couldn't order ingredients fast enough -- the suppliers weren't ready for it. Factories are very particular about their space, too. They couldn't overnight give us a bunch more lines. Most importantly, frozen is limited real estate in stores. When people are buying the stuff and clearing out shelves in like a day or two, they've never seen this in their life with ice cream. They weren't ready for this type of movement. There was this very difficult adjustment period where everybody along the chain had to get used to the growth. From that whole experience, what do you think is the top lesson for entrepreneurs? The best thing to ever be for any entrepreneur, and for us in this circumstance, was just be flexible and make good gut decisions. Be prepared for the unexpected. What's a big challenge in your industry, and how were you able to overcome it? The thing about the ice cream and the frozen-dessert industry is it's so dominated by big guys, big major players -- the Unilevers, the Nestlés and the like. The way we had to overcome that, being such a small guy, was to make a really good product. We made it a point to do the right thing with our retailers and our consumers. Making a great product and having good relationships allowed us just to weather the storm of the big guys getting mad. Halo Top attracts haters and copycats. How do you deal with those? To me, it's pretty flattering. I never would have guessed in 2011 that Ben & Jerry's would be making a Halo Top copycat. We want to stay best in class, and we believe that we've got the best product out there. People respond to the fact that we're kind of the O.G. here in the market … and we just stay true to ourselves. What we've done works. We're having fun. We'll just keep our voice, be ourselves and make a better product. What's the most unusual thing about working in the ice cream niche? I literally taste ice cream as a job. It's actually work when you do it long enough. You get a box of eight renditions of one flavor. You really have to sit there with a notepad, you have to worry about cleansing your palate between bites. You're releasing this to the world. There's pressure to get it right. We listen to our fans on social media and in emails, and we keep a spreadsheet. Then we'll internally send out a survey. We reach a consensus, and the next step is to make sure it actually works with our base. The easy answer is to say international, because we're blowing up pretty much internationally. The harder answer is about staying true to ourselves. It's an increasingly competitive market. One of the great things about not having private equity or anything behind us, [there's no] pressure to cut costs, use worse ingredients and change who we are. Being very introverted. A lot of people wouldn't think that when they meet me, but I'm very happy to be alone with my computer. Being bootstrapped and the amount of work, it was very helpful to be happy being alone and working 14 hours a day. Doug, my partner, is very much the same way. We're the type of people who don't like to do group projects. It's like, let's have discrete tasks and just get them done.